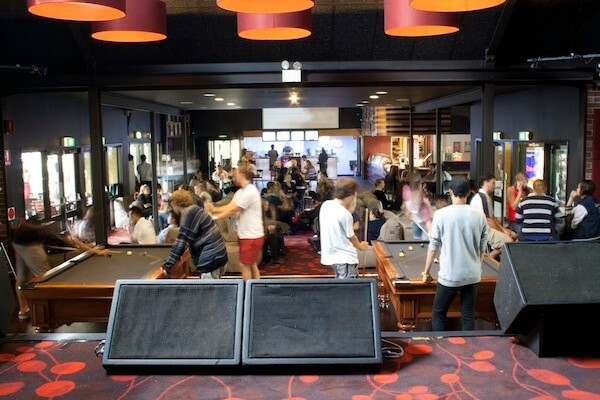 Serving a large selection of food and beverages and hosting some of the best local and international acts, Bar on the Hill is not only the social hub of the Callaghan campus but also as one of Newcastle's premier entertainment venues. 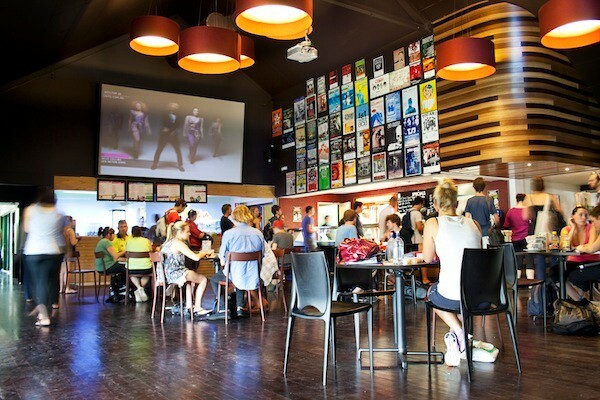 From 8am, Bar on the Hill cafe can take care of you for coffee, breakfast and lunch. Lunchtime menus include a selection of hot and cold dishes, sandwiches, wraps and and salads… of course pies, hot chips and wedges are also available. 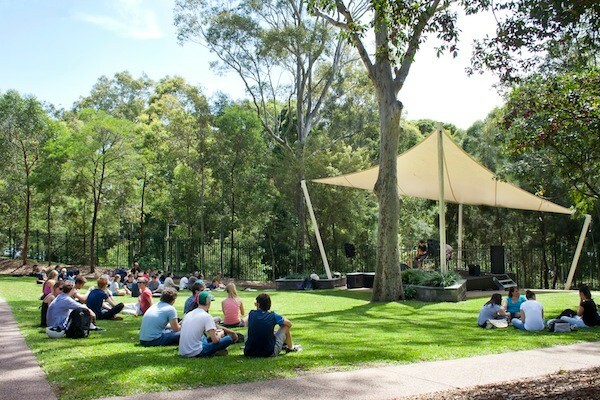 The Bar on the Hill offers a friendly and relaxed atmosphere to patrons, offering wide verandas with sweeping bushland views, a sunny lawn with an outdoor stage, live lunchtime acts and Foxtel service in the bar.